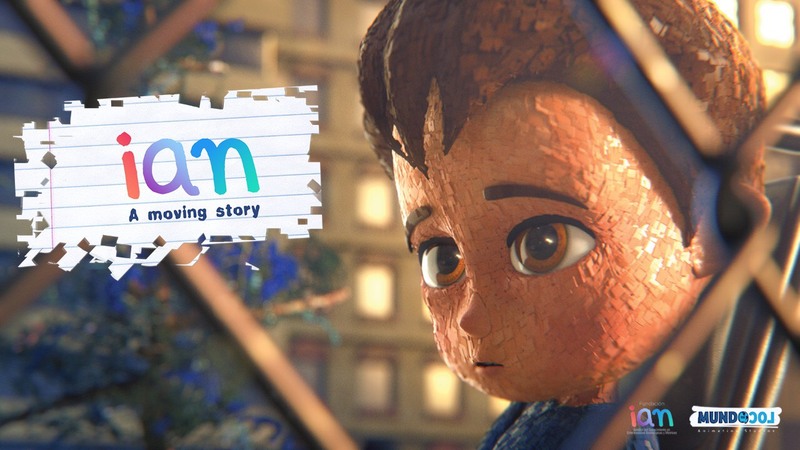 Oscar-qualifying film "Ian" released on November 30 in an unprecedented joint effort from all major children’s Networks in Latin America: Disney, Discovery Kids, Nickelodeon, Cartoon Network, Boomerang, YouTube Kids and Pakapaka in Latin America and YouTube Worldwide. This emotional film is based on the true story of a boy called Ian. The film was created by Emmy nominee Gastón Gorali, produced by Oscar winner and two-time Emmy winner Juan José Campanella and directed by Abel Goldfarb. This important film aims to help children to understand disability and for the message of inclusion to reach every home. Ian was born with cerebral palsy. All he wants is to make friends, although it seems impossible to achieve when discrimination and bullying keep him away from his beloved playground. However, this young boy is determined and won’t give up easily. “Ian” was produced at MundoLoco CGI using a unique animation technique that combined stop-motion sets made out of recycled waste with the latest CG technology. The film doesn’t use dialogue to express the children’s feelings making it inclusive to everyone regardless of their age, race, or language they speak. The Ian Foundation was created by Ian’s mother Sheila Graschinsky to fight the lack of information that often leads to people with disabilities being bullied and feeling isolated. Sheila originally approached MundoLoco CGI with the idea of using film as a teaching tool and Gastón Gorali wrote the film around the real story of Ian. Latin-American filmmaker Juan José Campanella has written, directed and produced international box-office hits, like THE SON OF THE BRIDE, METEGOL, and Academy Award winner THE SECRET IN THEIR EYES. We hope you will join the Ian Foundation, Lady Gaga’s Born This Way Foundation and Shane’s Inspiration by sharing this message of inclusion with your friends across your social media accounts using the hashtags #InclusionRules_IanFilm @fundacionian. The film is available now via YouTube.